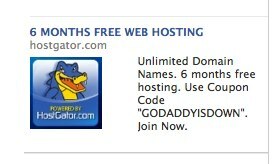 Get free 6 Month Hosting from hostgator just you have to pay 0.01$. Its basically 1cent Program for 6 Month Hosting. 3. Make Payment Using cc or paypal. Note : This coupon is for short time so make use of it before it get expired.